Additional, affordable coverage that starts when the standard car warranty ends. 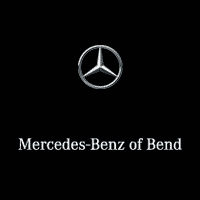 Every Mercedes-Benz Certified Pre-Owned (MBCPO) vehicle is covered by the standard MBCPO Limited Warranty, which now runs for 1 year with unlimited miles, starting when your vehicle’s original 4-year/50,000-mile* Mercedes-Benz New Vehicle Limited Warranty expires. So that you can continue to enjoy unparalleled peace of mind when the CPO Limited Warranty ends, our Mercedes-Benz Certified Pre-Owned Extended Limited Warranty program offers additional coverage for either 1 or 2 years–now with unlimited miles. Every vehicle is backed by one of the most comprehensive certified pre-owned warranties available–now with unlimited mileage.